You’re right; some things really are just too beautiful for words. Posted on January 26, 2016 2 Comments on ART! …as many of you are extremely keen to find out the details of the next Counterpint session. I have a couple of pubs in the pipeline but it would be utterly great if any of you could also suggest some London venues in which you think a Counterpint session might work. has a good selection of beers and wines. And gins, for the sopranos. is willing to have you lot rock up to belt out Palestrina and Byrd. If your neighbourhood boozer meets these criteria then drop me the details via the comments below and we’ll see if we can set something up. PS If you are stuck for something to do on Saturday night, why not go and hear the excellent Crouch End Festival Chorus perform Bach’s B Minor Mass at the Barbican? PPS If you’re still twiddling your thumbs on Sunday, the also excellent St Bride’s Choir are singing Victoria in the morning and Byrd, Gibbons and Weelkes in the evening. …as it now takes me a couple of days to recover from a PDtP session. And what a great session it was! Despite my best efforts to put you off (deliberate errors, of course), you all sang lustily and with a commitment rarely seen in a group of people largely singing together for the first time. Speaking of which, it was lovely to see so many new faces there – many thanks for coming and hope to see you at future sessions. Thanks too of course to all you for whom it wasn’t your first time – we must be something right for you all to come back! Highlights for me were the Bach chorales – we definitely had some crackers in the line-up – plus the Crecquillon and the Mantua. The Hassler ended up being more challenging than I’d envisaged but by goodness it felt like an achievement to make it through to the end! #PDtP Voluptuous Vedit Jacob Scalam…beefy basses! @PubPolyphony thanks for a fun evening…I'm extending the #HasslerZone with some Spotify listening at home. He knew what he was doing…! By the way, apologies to any Peñalosa fans – I was probably a bit harsh about him so I will make it up to you by including something slightly more interesting by him at a future session. As always, special thanks to the 15 or so who stayed back for the post-10pm session; the Mantua sounded even more stunning with reduced forces. I’d also like to thank the people who told me that this was the first time they’d sung in years – in fact, 40 years for one gentleman! – as it’s extremely gratifying to know that our little evening can act as a way back in to singing. As a reminder, the next PDtP is Feb.8th and is our Italian special (a third of spaces have already gone) but don’t forget that March 7th is our double-choir spectacular, so book now to avoid disappointment. While there’s still time to sign up for this Monday’s PDtP session*, anyone looking further ahead may be pleased to know that PDtP XVII has been confirmed for February 8th and PDtP XVIII is March 7th. Sign up here for February’s PDtP, which will explore the music of the Italian masters. March’s PDtP on the other hand will focus on double-choir repertoire. News on future Counterpint sessions will follow so keep an eye out for updates. 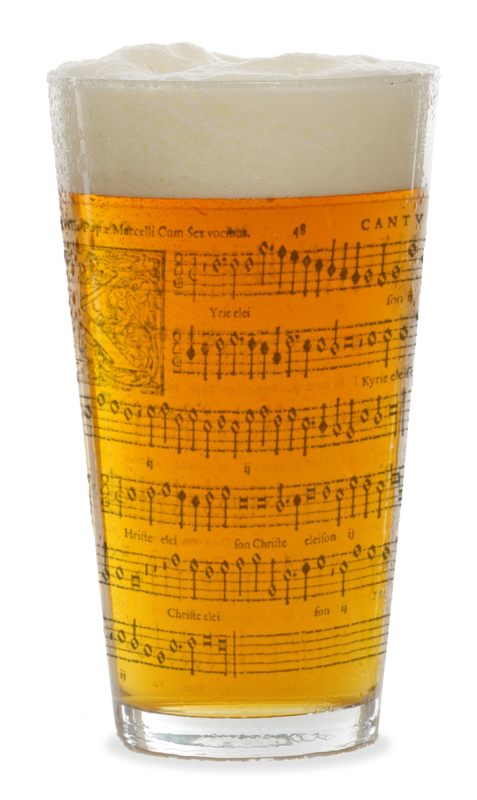 As if the excitement of last night’s Counterpint session wasn’t enough, the sheet music for next Monday’s Polyphony Down the Pub is now ready to grab via the usual page. As usual, there’ll be some cracking Bach chorales to warm us up, to be followed by several rather excellent offerings from Guerrero, Richafort and Gallus among others, plus a look again at a couple of previous favourites from Crecquillon and Lassus. There’s still time to sign up in advance – looking forward to seeing many of you there! I am very happy to report that last night’s Counterpint session was a stonking success, with some damn fine singing interspersed with some damn fine drinking. We welcomed many first-timers, though it was great to see a healthy number of PDtP/Counterpint regulars too. Many thanks to our gracious hosts at the Punch for their hospitality and willingness to tolerate 45 people banging out Renaissance choonz in their back room; I hope they’ll have us back for another session in the near future. Highlights were the Gallus Ecce quomodo moritur justus and the Victoria Ave Maria a 4, both of which seemed to go down very well with everyone. Another real treat was the post-10pm session, where a handful of us went through the best bits again, this time with the volume dial turned down from 11. That said, the camaraderie of the main session was really something to experience (though to be fair, PDtP/Counterpint participants very much tend to lean towards the affable), so thanks again to all who took part. Hope to announce the next Counterpint very soon, but if you’re worried about withdrawal symptoms in the meantime, there’s always next Monday’s Polyphony Down the Pub session to feed your habit.